We are currently taking reservations. Please call or email today. 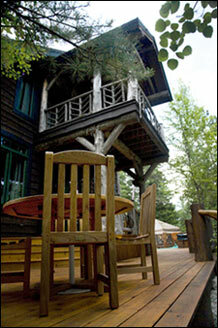 Our rates are all inclusive for up to ten people but only include food and accommodations for four. This assumes two adults and two children. Child rates are from age 6-12. Kids under age 6 are free. 15% gratuity is extra. Note: If you book for the week and you are unable to stay the entire time, you may return on a mutually agreed upon date to use the balance of your vacation at no extra charge. All financial arrangements are completed prior to arrival and no monies need be brought with you. Sample menus are mailed to you ahead of time. 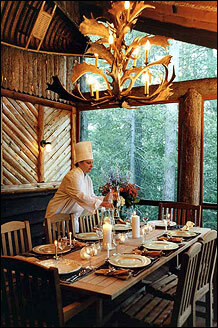 Our chef arrives at the island around 3-4pm each day to prepare and serve appetizers, followed by a full dinner. We provide ingredients for breakfast and lunch. Should you wish for the services of the chef for all meals of the day, it is available at a small extra cost. Menus are mailed to you many weeks in advance so you may select from hundreds of items what you would like for each breakfast and lunch. We then bring all of these supplies to you, so you need not do any shopping. In addition, fresh foods are brought in each day per your requests. We often go to farmers markets in the area and choose the best fruits and vegetables, which are delivered to the island the same day. 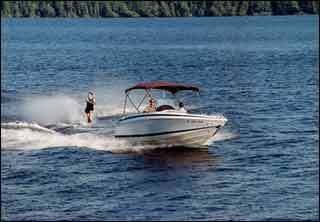 We can also arrange for any special watercraft such as Pontoon boats, ski boats, etc. These can be rented in town and delivered to the launch site ready for you to board. 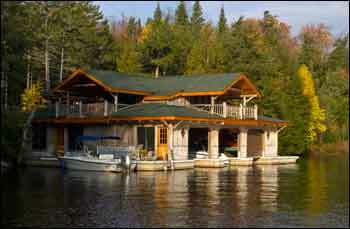 You can make the financial arrangements for those craft directly with the marina. Due to the desirability, reservations are requested as far in advance as possible. Please phone or e-mail us and we will hold your reservation for 7 days, by which time we will need a 20% deposit. Upon receipt of your check, we will confirm your reservation by mailing or emailing you a letter of confirmation and an invoice for the balance which is due 60 days prior to your arrival. If the balance has not been received by that date, we need to reluctantly cancel your reservation. If it is less than 60 days from your visit time the above deposit procedure does not apply. All we need is sufficient time for us to receive your payment in full. If you book for the week and you are unable to stay the entire time, you may return on a mutually agreed upon date to use the balance of your vacation at no extra charge. We understand that sometimes people must cancel. So long as it is at least 60 days in advance we will gladly refund all funds less a 2% cancellation fee. After that no refund is possible regardless of the reason for non arrival, unless we are able to rebook the space. You are, of course, welcome to send someone else in your place. 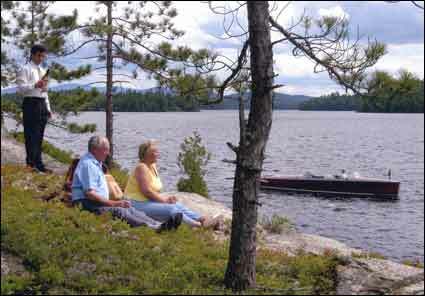 If you decide to come to the Adirondacks on the spur of the moment we encourage you to call on the chance that we might have an opening for you. Sometimes people do have to cancel or leave early. In that case it may be possible to book you in for less than a full week.